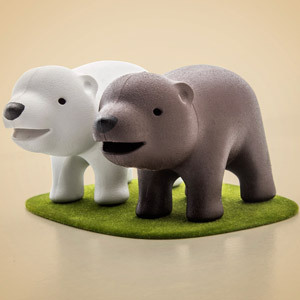 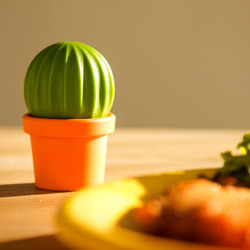 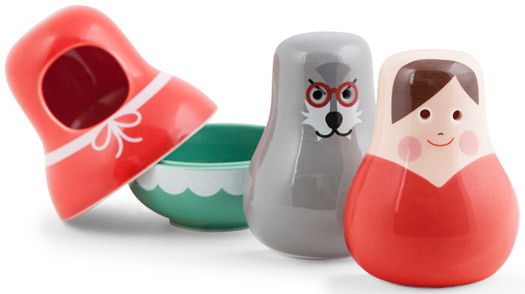 This handy little salt and pepper set is like something straight out of the famous story of Little Red Riding Hood. 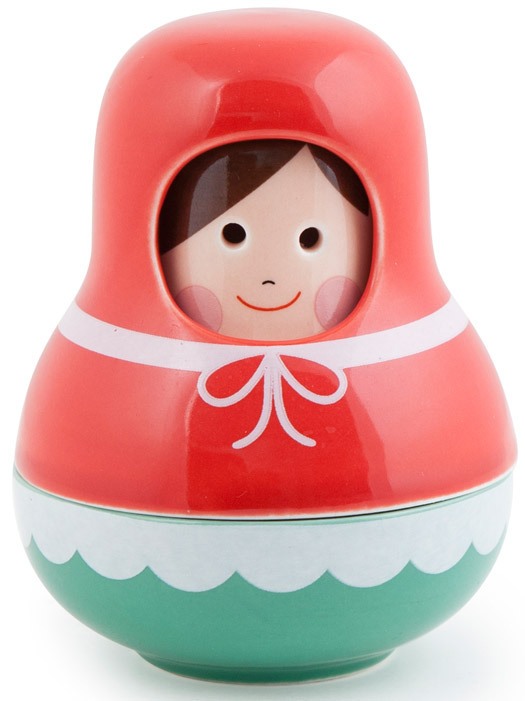 The set comes as one large holder in the shape of the famous story book character, complete with a red hooded cloak and innocent looking face. 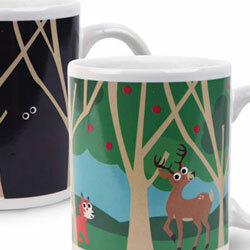 Lift the outer layer like a Russian doll to reveal little red riding hood herself and the wicked wolf. 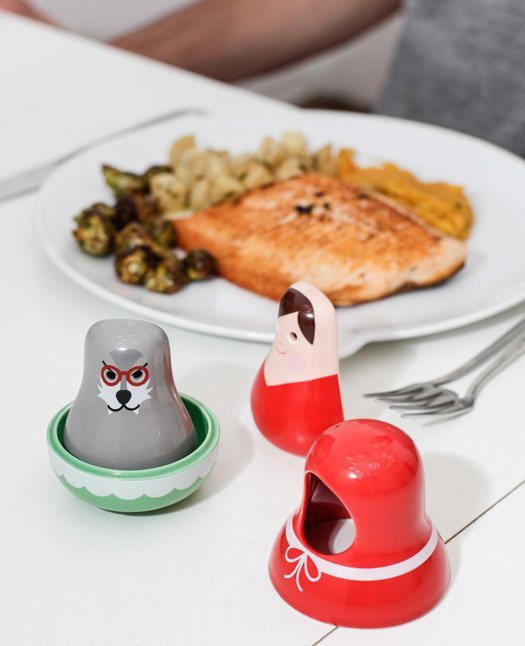 Red riding hood and her enemy the wolf are salt and pepper shakers that add a little bit of a fairy tale touch to your dinner table. 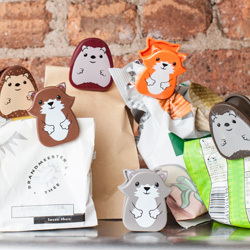 Once you have finished with them, pop them back into the large holder and store away in the cupboard for next time.